In order to solve complex business challenges successfully, it's important that our associates are able to give their best at work every day. This means feeling great in all aspects of their lives - physically, emotionally, socially and financially. We offer a variety of benefits designed to promote security and peace of mind. We take a consumer-centric view of these programs. In the U.S., we share the costs of some of our services with you but aim to provide you with as many choices as possible to ensure you and your family have the resources that you need. At Fiserv, we believe that medical benefits are much more than just coverage when you are ill or injured. Our proactive approach to health care is designed to improve quality of life and reduce health care costs. When electing medical coverage through the Bronze and Silver HSA plans or the Silver HRA plan, select preventive care services, screenings and generic prescription medications are covered at 100 percent before you meet the deductible. When electing coverage through the Gold Medical Plan, select preventive care services and screenings are covered at 100 percent before you meet the deductible. Fiserv offers vision care benefits through VSP®, giving you personalized care focused on your eyes and overall wellness. There are two vision plans — Basic and Premier — allowing you to choose the vision coverage that works best for you and your family. Fiserv is committed to your total health and well-being. That means supporting and encouraging healthier lifestyles 365 days a year. To help, Fiserv offers a wide range of wellness benefits and resources that support your physical, financial, social and mental health and promote a positive work environment. Fiserv is excited to offer a wellness incentive program that helps you fuel your life and actively focus on feeling and living your best year-round. Our program is open to all medically enrolled associates and their medically enrolled spouses. Participating in the program can help you reach your health and wellness goals and earn you valuable wellness incentives. Nicotine use is the leading cause of preventable death in America. If you use nicotine, Fiserv provides the tools and counseling to help you and your family members, 18 and older, quit — at no cost to you. Fiserv encourages associates to save for their future through a variety of retirement vehicles, including the company-sponsored 401(k) plan. Eligible associates may contribute on a pre-tax basis, or on a post-tax basis through the Roth 401(k) feature of the defined contribution plan. Fiserv provides a per-pay period match of up to 3 percent on your 6 percent pre-tax contribution. The Fiserv Employee Stock Purchase Plan (ESPP) allows eligible associates to purchase shares of Fiserv common stock each quarter at a 15 percent discount. Associates can contribute one to 10 percent of their annual compensation through after-tax payroll deductions up to a maximum of $25,000 annually. Fiserv provides basic life insurance coverage at no cost to associates. You can also purchase supplemental life insurance and/or accidental death and dismemberment insurance for you and your family through payroll deduction. This voluntary benefit, administered through VOYA®, helps minimize financial risk to you and your family by paying a lump sum cash benefit when you are diagnosed with a critical illness. Similar to the critical illness insurance, accident insurance minimizes your financial exposure by providing a lump sum benefit when you experience an accident. This voluntary plan is administered through VOYA. Fiserv is committed to ensuring the safety and security of our associates during travel. Global Business Travel Accident (BTA) insurance is provided to all full- and part-time permanent Fiserv associates when traveling 100 miles/160 kilometers or more from your permanent residence. BTA insurance is fully covered by the company at 100 percent; and you are automatically enrolled and covered. You may not imagine yourself unable to work due to injury or illness, but it’s best to be prepared. Fiserv provides basic short- and long-term disability insurance at no cost to associates. You can purchase additional long-term disability insurance through payroll deduction. This voluntary benefit, administered through UNUM®, can help protect you and your family from the high costs of long-term care for an aging family member or due to an unexpected illness or accident. This program provides reimbursement for expenses related to the adoption of a child. Fiserv provides tuition assistance to support your career development. This program provides reimbursement for tuition, fees and other job-related educational expenses. Allows you to set aside pretax dollars to pay for eligible commuting expenses, including public transportation, vanpools, commuter highway vehicles and parking. 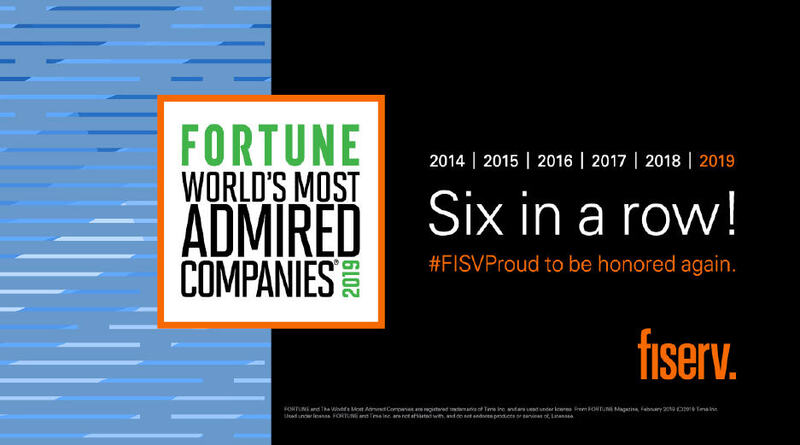 At Fiserv, our culture celebrates originality, encourages diversity of thought and fosters an environment of inclusion and unity where associates can thrive. 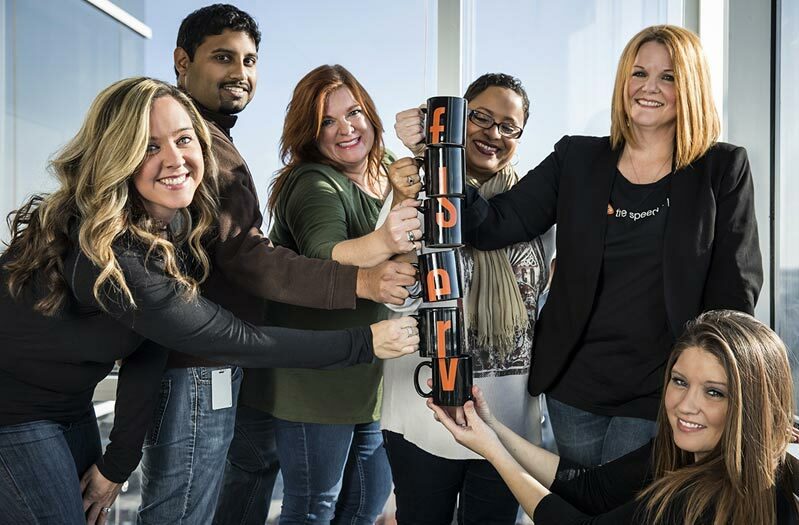 That’s why we encourage the formation of Fiserv Affinity Networks (FANs), which are voluntary, associate-driven groups designed to bring individuals who share a common background or interest together to interact and support each other on an informal basis. Our FANs offer members a forum for sharing their perspectives and enhancing their professional development through participation in a wide variety of learning, networking and mentoring activities. Whether through our Women in Leadership, Millennial, Military Services or one of our other FANs, there are a variety of different groups available for you to join to connect and collaborate with your colleagues, whether across the office or across the globe. At Fiserv, we understand that a one-size-fits-all work structure no longer applies to everyone. Flexible work arrangements allow you the opportunity to work from home or another approved location, or work a schedule that differs from traditional business hours. Having time to recharge and refuel is critical to your total well-being. Whether you need a day to run errands, are planning for a family vacation or are feeling under the weather, our R&R and Well-Being Time Policies give you the time you need to manage your personal needs. In addition, Fiserv observes eight company holidays in the U.S. This program provides access to a nationwide network of more than 12,500 experienced attorneys to help you and your family with everyday legal matters. Funded by Fiserv, the EAP is available to you and your household members to help identify resources to solve both personal and work-related problems. Perks at Work gives you and your family members the opportunity to save on health and fitness items, personal travel, retail brands, dining and more.